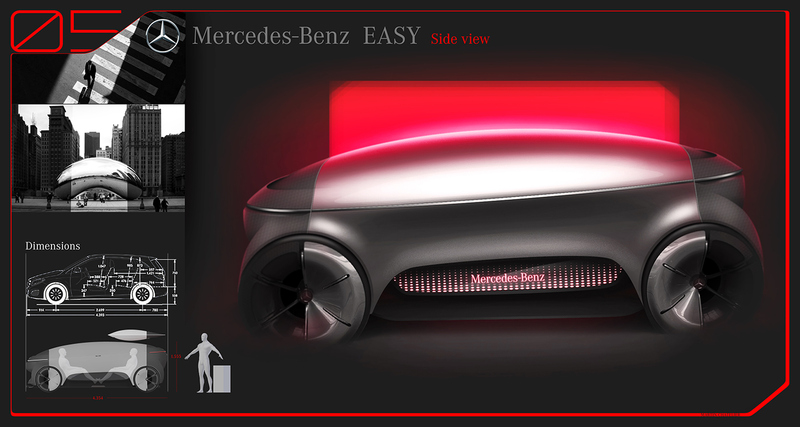 Mercedes-Benz Easy is an electric autonomous car sharing car inspired by the Cloud Gate, a sculpture created by Anish Kapoor. 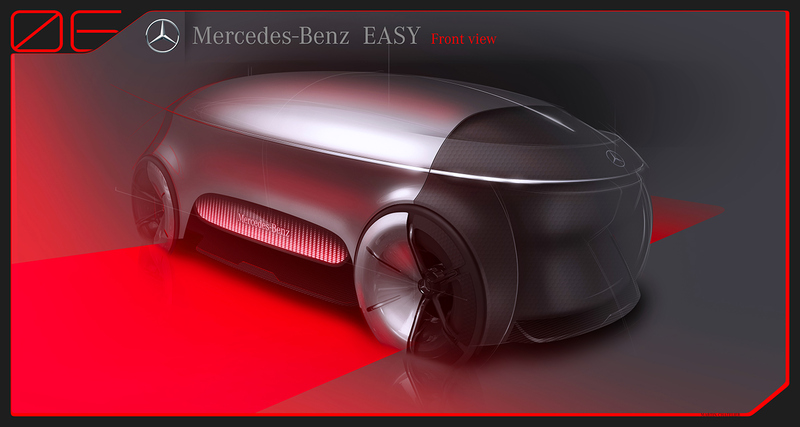 Easy is the first autonomous car sharing car wich comes to you and lets you everywhere you want. 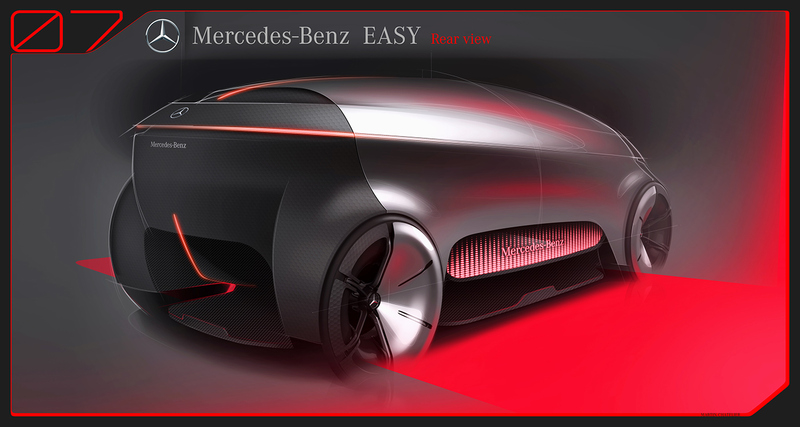 Easy brings you the comfort and space of a luxury sedan in a car made for the city. 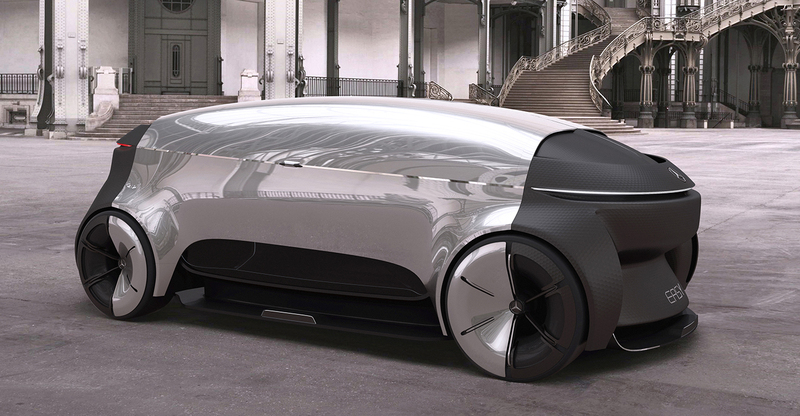 This „sharing luxury car“ can accommodate 4 people in a really quiet cocoon.